One of the most exciting and interesting place to visit is South Korea. With the evolution of K-Pop, Korean TV series and movies and music, Korea has a promising tourist attractions that travelers around the world would surely love to experience. 한국말 or Hanguk Mal is the spoken form of Korean Language. In Korea, you should communicate with people using the Korean Language. You should learn basic phrases and greetings to at least help you when you stay there. 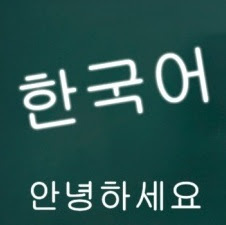 Korean Language is not difficult to learn. Know the important phrases and questions like "how to go to the rest room", or "I am hungry" or "how much is this". Be open to learn their spoken language because this will help you to make your life easy in Korea. Koreans don't usually speak or understand English, so you have no other way to communicate but through a sign language. But if you know some basic Korean phrases and questions, this will greatly help you. Buy an English to Korean dictionary if you need to. Learning a new language wouldn't hurt. You will find it interesting to learn Hanguk Mal. Make sure that you are completely healthy especially for those who want to work in Korea. Korean companies, whether small or big, are very particular with health. If you have contagious disease like Tuberculosis, you have a slim chance to go there and work. If you desire to visit or work In South Korea, take care of yourself. Exercise daily and be healthy. I know a lot of people who have been denied to work in South Korea because of health problems, so it is very important to be physically fit. Korea's international airport is very strict and hi-tech. It can easily detect if you are a legal alien in the Country. If found out illegal, you will be sent right away back to your Country of origin. So before you set foot to South Korea, you will be scanned first. It is good that you have your passport , clearances and all travel documents ready to avoid inconveniences to your travel to South Korea. Whether you go there to visit or work, legal travel documents are necessary. South Korea is a happy place for happy people. If you want to go there, then start with a single simple step, check the three pre-requisites I provided above and prepare to experience South Korea.